Mario Venzago opts for light textures, curvaceous phrasing and impressive forward momentum – though there’s also an occasional feeling that the music is being hurried along unduly. 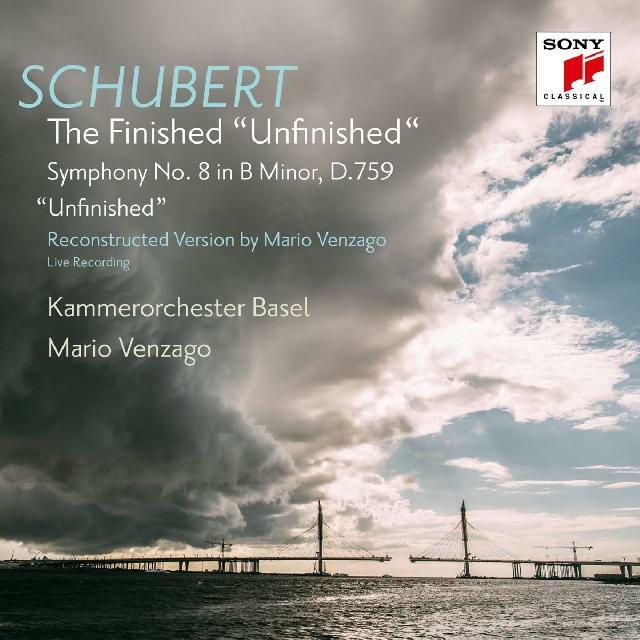 “No one with even a modicum of common sense will claim that in 1822 Schubert sat down with the deliberate aim of writing an incomplete symphony, but just as nonsensical is the suggestion that he was so overwhelmed by the high quality of the first two movements that he no longer dared continue with the work.” So writes Mario Venzago, who conducts a vital performance of his own reconstruction of the ‘Unfinished’. Of particular interest is the fact that Schubert wrote to Anselm Hüttenbrenner asking for the original fourth movement to be returned for use as an entr’acte for Rosamunde (if you know that score you’ll instantly recognize it), though in context here, towards the close of the movement, Venzago hauntingly refers back to the Symphony’s opening. The scherzo is more problematic, but all is revealed in Venzago’s comprehensive booklet note. Brian Newbould’s impressive ‘completion’ has already been recorded under Sir Charles Mackerras (Erato), a fine performance, quite unlike this keenly attenuated reading, where, in the first movement (taken at a nifty tempo) Venzago opts for light textures, curvaceous phrasing and impressive forward momentum – though there’s also an occasional feeling that the music is being hurried along unduly. The repeat is played, but a sense of mystery at the onset of the development is missing, and the Andante con moto, which is very well paced in relation to the first movement, lacks weight. It’s the sort of production you’ll need to assess over time: so much to absorb, much of it challenging received appraisal, but it’ll be worth the effort.